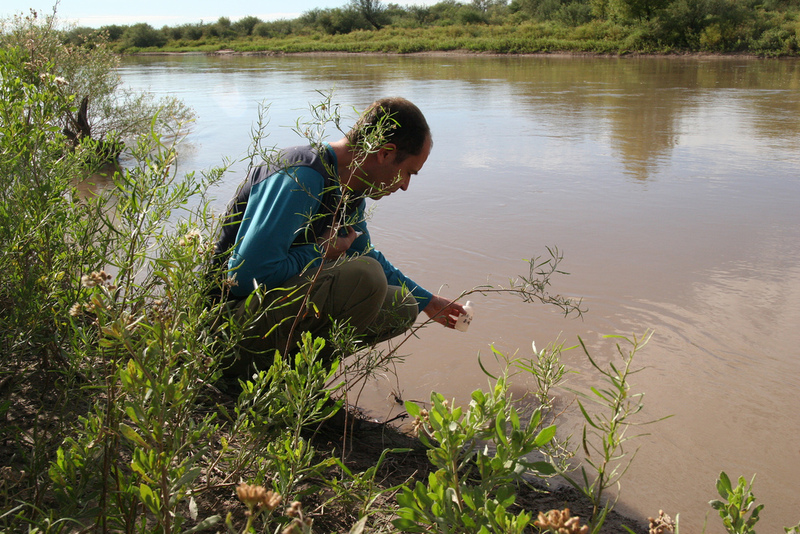 Agronomist Esteban Jobbagy takes a water sample from the Rio Mendoza, Argentina. The underground water table in central Argentina’s Monte Desert is falling, leaving the fate of the centuries-old indigenous Huarpes culture hanging in the balance. Demand for high-quality and still relatively inexpensive Argentine wine, combined with an abundance of land to grow grapes, has become a problem for the desert-dwelling Huarpes. Vineyard owners are diverting increasing amounts of water from a network of channels and streams originally crafted for irrigation centuries ago by several of Argentina’s indigenous groups.